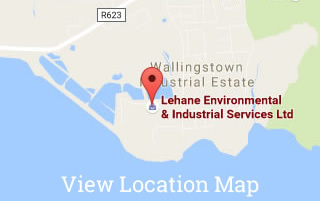 Lehane Environmental was delighted to be nominated for the 2014 Company of the Year. A most enjoyable night was had by all at the event, which was extremely well organised and was attended by a lot of the Little Island businesses. The event was attended by Mr Dara Murphy, Minister for European Affairs. Congratulations to all the winners including Lilly who pipped us to win Company of the Year. A Special Congratulations to Leeside AFC who won Community Project of the Year. Lehane Environmental is delighted to sponsor Leeside AFC and this award is a credit to the hard work of the Committee who have successfully completed the upgrade of their playing field. If you or your Company would also like to sponsor Leeside AFC, please do not hesitate to contact our office and we would be delighted to pass your details on to the appropriate persons.